MOSCOW: Harry Kane is leading the race for the World Cup Golden Boot as he bids to become the first England player to win the prize since Gary Lineker 32 years ago. The clean-cut skipper is on the fast track to virtual sainthood in England, matching Lineker’s tally of six goals from 1986 in just three matches in Russia to set up a quarter-final against Sweden. Kane scored twice against Tunisia in England’s first match in Russia and then bagged a hat-trick in a 6-1 romp against Panama. 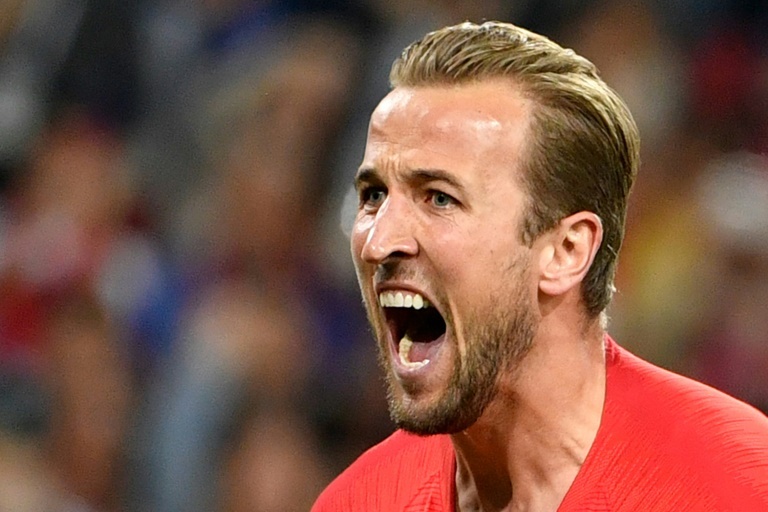 Gareth Southgate rested Kane for the third group game — a 1-0 defeat to Belgium — but the Tottenham striker returned to score from the penalty spot against Colombia in the last 16. In doing so the England captain became the first player to score in six consecutive England appearances since Tommy Lawton in 1939. Gareth Southgate’s side play the Swedes in Samara on Saturday, eyeing their first semi-final since 1990, a defeat against Germany in which Lineker played and scored. London-born Kane insists it is lifting the World Cup rather than individual honours that remains his priority. “The Golden Boot would be great but I’m still there — and if we’re in the tournament longer it gives me a greater opportunity,” he said. Lineker, also a former Tottenham player and now a TV pundit and avid user of Twitter, is a fan. “Blinding finish from Harry Kane. The first player to score a hat-trick and a brace in consecutive World Cup Games since 1986,” he tweeted after Kane’s performance against Panama. Lineker was referring to his own exploits in Mexico, where he scored a hat-trick against Poland in the group phase followed by two goals against Paraguay. Kane’s goal against Colombia took him two clear of Belgium’s Romelu Lukaku and three clear of a clutch of players on three. Since 1978 only one player has scored more than six goals in a single tournament, when Brazil’s Ronaldo netted eight goals in Japan and South Korea in 2002. Kane faced a tough route to the top at Premier League club Spurs, spending periods on loan at various lower-level clubs including Leyton Orient and Millwall before he established himself in the Spurs side. Astonishing as it seems now, Kane was written off as a one-season wonder after his breakthrough season with Spurs in 2014-15 following a slow start to the following campaign. But he has been relentless in front of goal ever since. In 2017-18 he scored 30 goals in the Premier League and 41 in all competitions for Spurs, including back-to-back hat-tricks at the end of 2017 to break Alan Shearer’s record for the most Premier League goals scored in a calendar year, with 39. So what would it mean if Kane goes on to win the Golden Boot? Lineker’s heroics at the 1986 World Cup in Brazil resulted in a dream move to Barcelona. James Rodriguez, who won the Golden Boot in 2014, sealed a move from Monaco to Real Madrid. It is different with Kane. He is a product of Tottenham’s youth academy and the club, just about to move into a new stadium, tied him down to a new six-year deal just before the World Cup. There was speculation he would want a move away as the north London club are yet to win a trophy under Mauricio Pochettino.